God i gat wanpela Pikinini tasol i stap. Tasol God i laikim tumas olgeta manmeri bilong graun, olsem na em i givim dispela wanpela Pikinini long ol. Em i mekim olsem bilong olgeta manmeri i bilip long em ol i no ken lus. Nogat. Bai ol i kisim laip i stap gut oltaim oltaim. 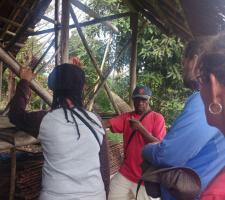 Papua New Guinea is home to over 800 languages, so the people of these language groups need a common language to communicate with each other. Some use English, but the language of choice in most of the country is Tok Pisin. 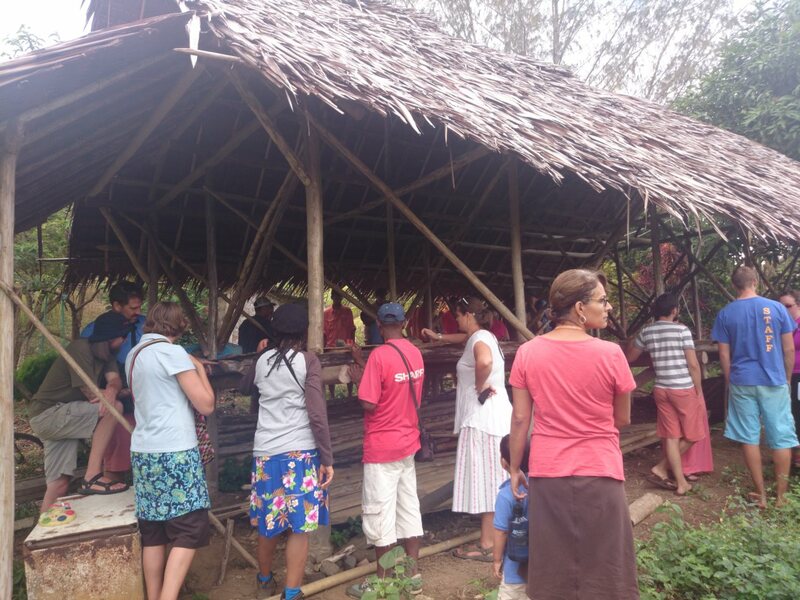 If you speak English, you're well on your way to learning Tok Pisin, though there's still a respectable amount of work to do before you can really understand, and then speak, it. And, since speaking the same language apparently makes it easier to build relationships with people (who knew? 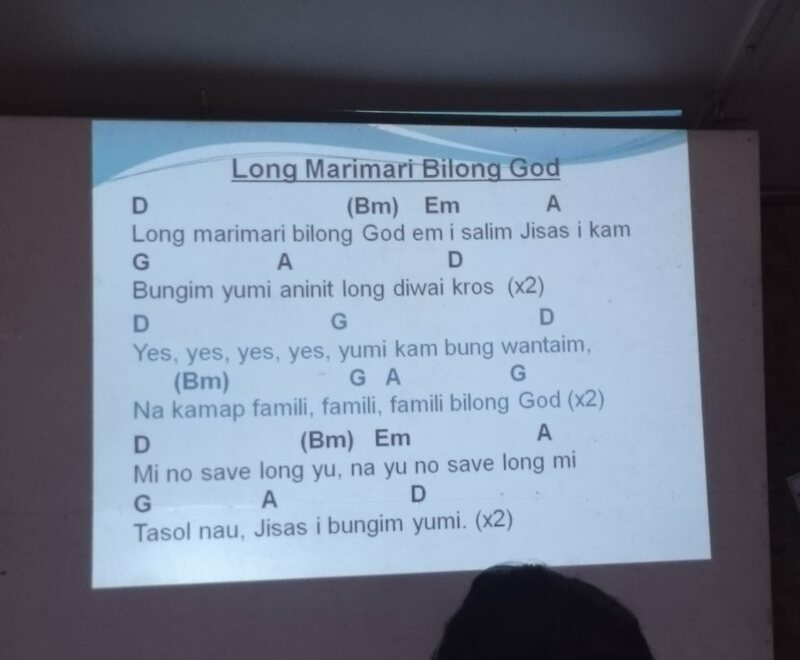 ), a major component of POC is learning Tok Pisin. 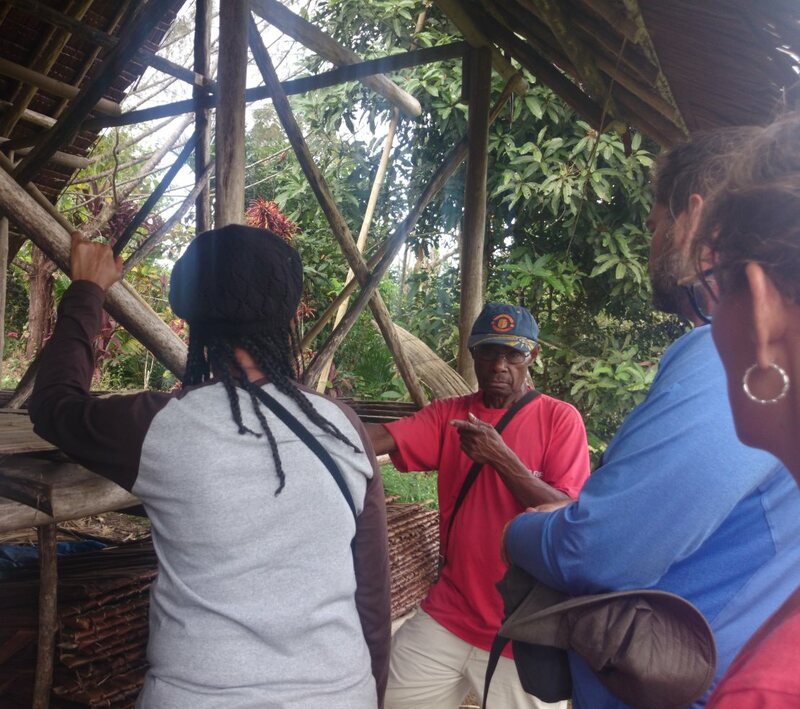 Our learning takes place in three ways: large group learning, small group discussion, and conversations with the Papua New Guineans around us. In our large group sessions, we've had a few lectures on Tok Pisin grammar. 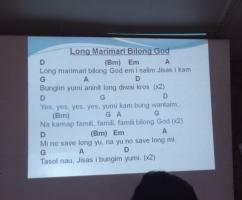 We also read through the book of Jonah aloud to practice our pronunciation (especially the vowels) and sang a number of Tok Pisin songs. But most of our structured learning takes place in our Tok Pisin small groups. Each group is made of about six students and is led by a Papua New Guinean tisa (teacher). My group's leader is Tisa Mat. We spend many sessions doing various activities to help build our vocabulary and intuition of how the grammar works, including simple conversations, listening to and telling stories, and games like I Spy and 20 Questions. Besides these sit-down-and-talk activities, the small groups have also watched people make things to give us practice asking questions. (What are you making? What is it used for? etc.) We've also gone with our teachers to see and discuss a garden, and a house under construction. 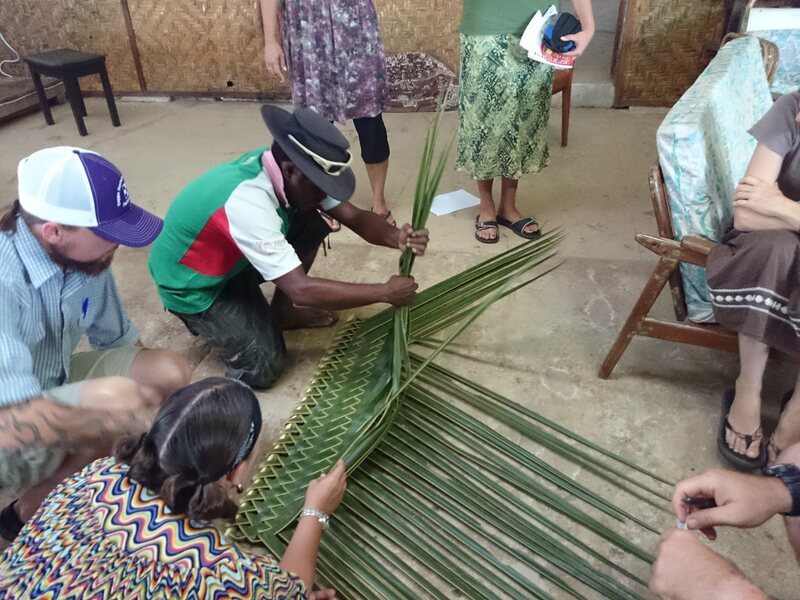 So in addition to improving our language, we also get to learn more about Papua New Guinean culture and daily life at the same time. I also got a very small taste of linguistics. One of our assignments was to record and transcribe a story told by our teacher. I actually thought it was a lot of fun; I wouldn't mind learning more about linguistics if I ever end up working on translation software someday. Here's a transcribed snippet of Tisa Mat's story about pig hunting. The first line is what I heard him say in Tok Pisin, the second line is translated into English as literally as possible, and the third line is my "free translation" of how you might say it in English. Mi bihainim lek mak bilong ol. Mi no gat dok. Mi karim gan. I follow leg mark of them. I no have dog. I carry gun. I followed their footprints. I had no dog; I carried a gun.